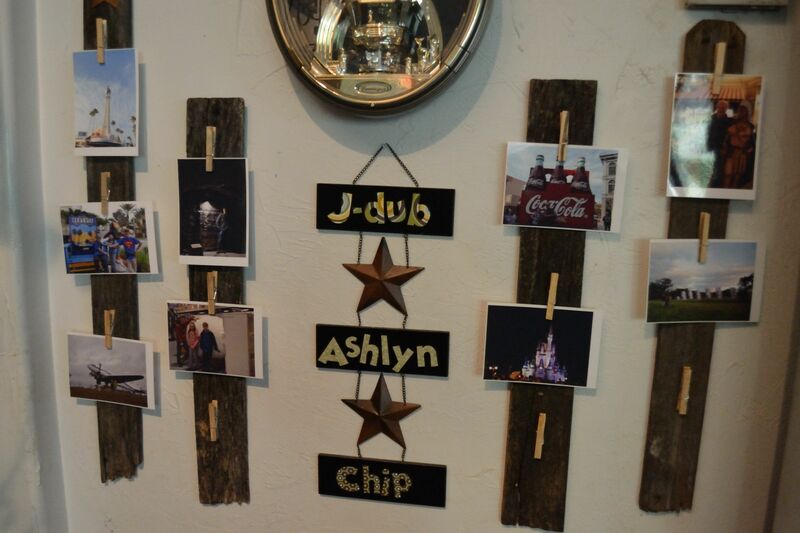 What do you do with old fence boards and clothes pins? 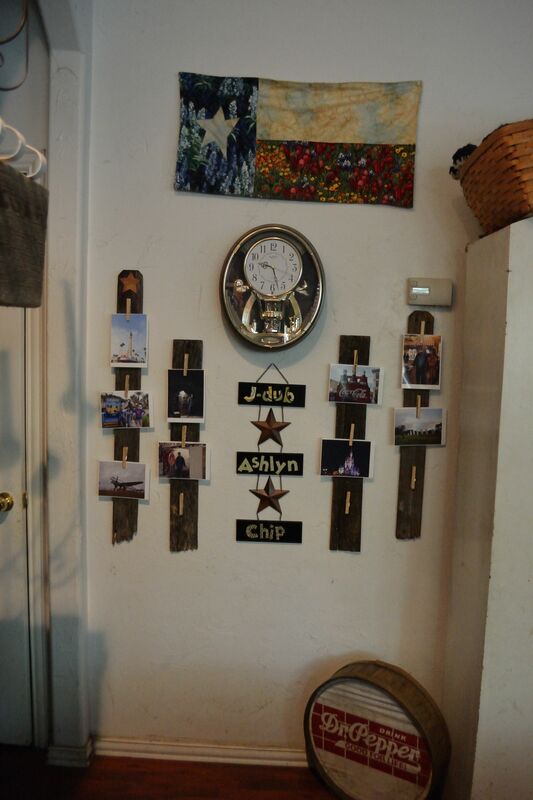 You make frames or picture holders. I had found this 3 tier sign saying – Live, Laugh, Love with stars. Since my family room is Texas themed, I knew it would fit in. However I had to tweak it. I painted over the sayings and cut out my kids names in colored paper. Modge podged them on and hung it under my souvenir clock from Walt Disney World. Next I wanted to add some pics of the kids around their names. So I slept on it (for a few weeks). It came to me in a dream. I probably saw something similar on Pintrest but this is my interpretation. I found fence and pallet boards in my trash pile. Just dusted them off. The patina and length were perfect. I got Dollar Store clothes pins that I glued on with heavy duty adhesive, added a hanger on the back and the arranged them. My pics are from our Florida vacation so it all works out.